BACK IN STOCK! Avanti 30-Bottle Wine Cooler (P/N WC1500DSS). This 30-Bottle Front-Venting Mini-Cellar fits in the same space as most trash compactors, or can be used in freestanding applications. 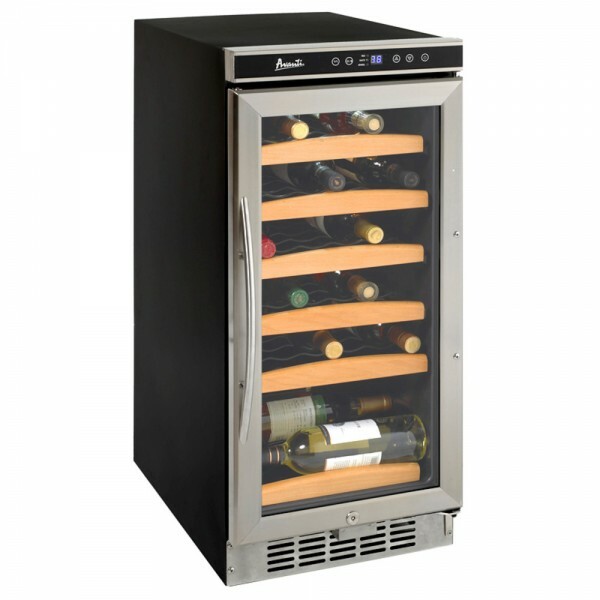 Each wine cooler features an LED digital temperature display, adjustable thermostat, tempered double glass doors, security lock and interior light. Our mini-cellar provides a stable environment for maintaining ideal wine serving temperatures.